Everyone will love this creamy goat milk and oatmeal soap. It offers a delightful spicy pumpkin fragrance that is perfect for fall and will be great for both men and women. 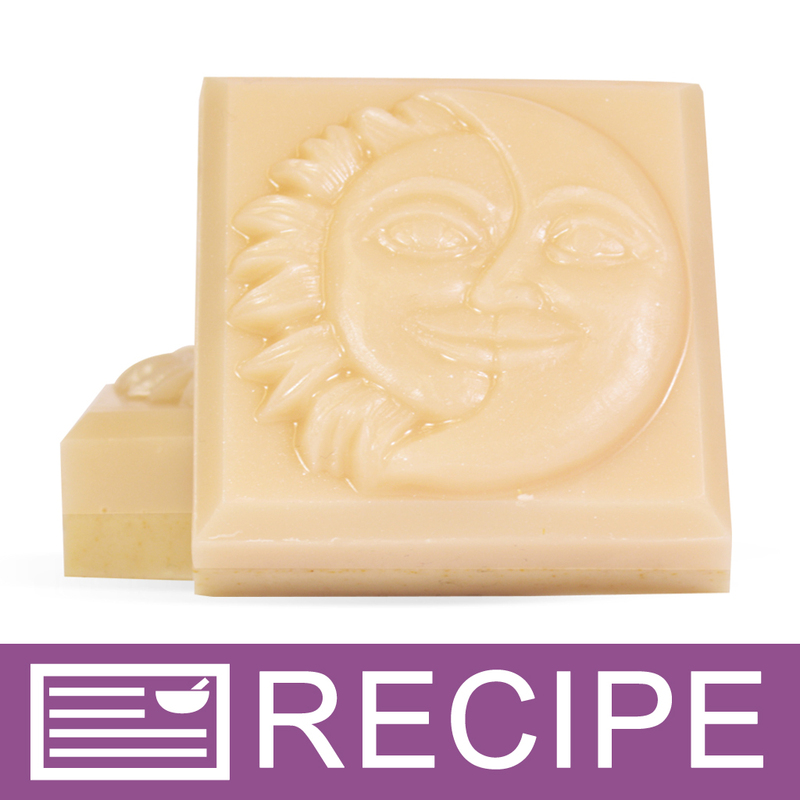 The oatmeal soap base adds some light exfoliation that your customers will love! Note that this soap will darken over time. Add a Vanilla Color Stabilizer to the mix if you prefer the creamy color pictured. You Save $11.45 by purchasing this kit rather than buying the items separately. COMMENTS: I loved the mold that came with this kit and that I had everything I needed to make the product. However, I was not a fan of the fragrance that came with it. So for me it was just ok. I do not see me purchasing this item again. COMMENTS: Instructions were awesome and easy to follow. I loved making the layers and the soaps turned out beautiful. Thank you!!!! I am addicted now to soapmaking. "Harvest Pumpkin Lager Soap Making Kit"
COMMENTS: This kit is AMAZING! It is so easy. I couldn't believe how easy it was to make. I made this with my 12 year old daughter and she could have just about done this whole kit herself. Of course I did help in case the soap got to hot but, it never did as the directions told us to melt it slowly in the microwave in 30 second intervals which was wonderful and a great idea. The fragrances and smells are absolutely amazing. The directions were so easy to follow that our layers even turned out wonderfully. The only thing I suggest is that they put in the directions to use some not a lot of the vitamin E in the soap mold tray so your soap will pop out more easily, keeping it from sticking. Otherwise this kit was amazing and that's why I gave this kit a 5 star. I felt I had plenty of product where in some of the other kits I feel we are short product. This was amazing kit and I will definitely be purchasing more like this one. "Harvest Pumpkin Lager Soap Making Kit "
COMMENTS: This is a great kit! I love the look of the soap, it looks and feels like a very elegant soap. Everyone loves it and wants more. Thank you.